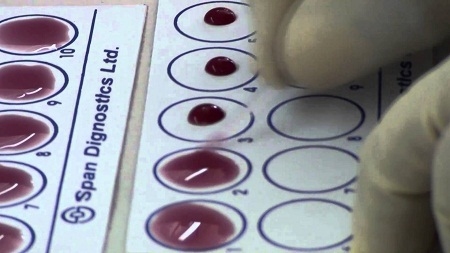 The Widal test is used to diagnosis typhoid fever, also known as enteric fever. Although this life-threatening illness has been almost eradicated in the USA and other developed countries, it is still endemic in many underdeveloped regions and visitors to those regions can and do carry the contagious illness back to their own homes. In fact, approximately 5,700 cases of typhoid are still diagnosed in the US today, most of those (75%) attributed to travelers to underdeveloped regions of the world. More than 21 million individuals are affected globally by the disease each year. 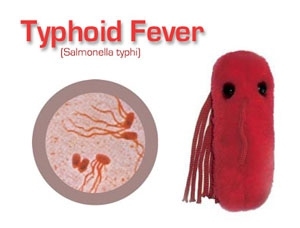 Typhoid is caused by a bacterium called Salmonella Typhi and it only lives in human intestines and bloodstreams. People who presently have the illness or people called carriers who have recovered but still carry the bacteria in their gall bladders shed the bacteria in their stools. When food or water becomes contaminated with Salmonella Typhi and is ingested by a human typhoid fever is the result. How Is a Widal Test Done? In modern countries, testing for typhoid is usually done using a blood, stool, urine, or bone marrow culture. These tests require specialized equipment and people who know how to use it, however, so the simpler Widal test may be used instead. This test involves mixing some of the Salmonella Typhi bacteria with the blood of the infected person. The goal of the Widal test is to determine the "O" and "H" agglutinin titer levels in the patient’s blood. Agglutinins are antibodies that direct red blood cells to gather together, forming clots that are visible to the naked eye, foregoing the need for expensive automated equipment. The test is no more painful than any other blood test. Widal test interpretation is fairly simple if you know what you are looking for. The important factor is the level of the O and H agglutinin titer levels. If this number is below 1:160, it is normal. If, however, it is over 1:160, you may have typhoid fever or another salmonella related illness. The Widal test report can produce a false positive for typhoid because it cannot interpret the difference between a person currently ill with typhoid and one who has recovered and is a carrier or one who simply has been vaccinated against the disease. It can also confuse the diagnosis with other salmonella-type conditions such as malaria. The World Health Organization (WHO) says that because of the variety of factors that can sway the results of a Widal test interpretation, it recommends the use of cultures whenever possible. Until another easy, affordable, and reliable option is developed, however, the Widal test will probably continue being used in those regions with limited resources.